Creating compelling content marketing starts with a story. For a startup that means defining a marketing strategy that works towards building an audience. That strategy is focused on the problem you are solving and providing valuable content that attracts and retains potential customers. In this post we will look at 6 key strategies that can help achieve those objectives. Your mission statement has to be all about the pain points of your readers and followers or else your content marketing simply won’t work. Define your mission statement so that informational needs of your customers and prospects come first. To create good content you need to have a passion for the particular niche. Passion is over and above expertise and this is what distinguishes good content from exceptional. By taking a good look at your content you can see if what you are producing is actually useful for your audience. Is it making their lives better or jobs easier in some way? Great examples of this includes Digital Ocean’s blog (hosting company) containing thousands of helpful tutorials for setting up any technical service in the Cloud. Many startups struggle with finding the time and funding for content marketing. Why not work with non-competitive partners to develop amazing and compelling content for a similar audience? 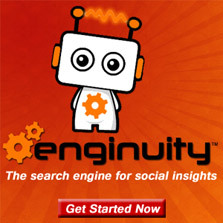 The best way to find what content is working in the beginning is to monitor and measure using tools like Enginuity Analytics. From day 1 start monitoring your content to see which elicit positive emotional responses that engaged well with your audience. Using that knowledge you can focus in on those particular types of content that struck a cord and work towards producing more of that type of content.